Before I get started, let me state something plainly and confidently: the Internet and blogging offer the greatest potential for self-employment and supplemental income that has ever presented itself to the average person. Making money online is not only possible, it is absolutely probable for anyone willing to work hard and stick to it. That is an absolute fact that should not get muddled or watered down because of the disappointment of marketing hype, gimmicks, scammers, and quitters. Every business industry has suffered from those types of people but it doesn’t change the legitimacy of doing business in any venue. The Internet and blogging offer mind-boggling potential and opportunity for anyone with a good work ethic and a laptop. Never lose sight of that fact. My impression was (from a friend, email, advertisement, or infomercial) that I could start a blog, put a little effort into it and a whole lot of people would come and read it, and I would start making money off of it. I call this the “infomercial syndrome” and it’s been around since long before the Internet. Many people get caught up in infomercial sensationalism and all the marketing hype both innocently and sometimes because of laziness or greed. In my opinion, the viewer is 50% to blame and the other 50% of the blame falls squarely on the “used-car salesmen of blogging.” There is an endless stream of commercials, courses, Internet marketing gurus, infomercials, and gimmicks out there promising online riches to bloggers with the typical wild claims of how effortless and easy it will be. “Set it and forget it” may work for a rotisserie appliance but not for business success. Caution: there is something that 99.9% of all “online business,” “make money online,” or “start a blog and watch the money pour in” marketers have in common: the only thing they have ever made money on is selling something about “how to make money online.” They claim to be experts without expertise or experience; they claim to be successful before even having success. It’s all image over substance, hype over reality. In other words, they have seen how profitable the “how to make money online” products are, created their own version of it, then gone out to find a new round of naive, anxious, and uneducated buyers to peddle their “get-rich-quick” infomercials to in various forms (emails, websites, actual TV infomercials). I hate to see this because just like all the ambulance-chasing lawyers give good attorneys a bad name, or the lying-cheating-used-car salesman gives legitimate auto sales professionals a bad reputation, these online business gimmicks and scammers taint the entire experience and possibilities that legitimate online business professionals and successful Internet marketing experts can offer to folks like you. I hear the same story all the time. 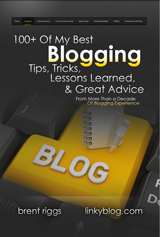 People get excited about blogging and creating a business online. They dream of making some extra money for their family or quitting a job they hate. They get sucked into a lot of gimmicks and marketing hype and spend a lot of money with people making big promises (but if you were to pull back the curtain you would see the only success they’ve had is in selling their online business materials). The new blogger gets really excited and does everything they’ve been told to do. They blog consistently for a month or two but when the traffic and money don’t start rolling in, they begin to get tired. Then discouraged and disillusioned. Then they start doubting themselves. Then it becomes a drain on them. Then they start wondering if they should quit; and finally it moves into what they consider a waste of time… they gave it a shot, and it’s time to pull the plug. I’ve seen this play out countless times from people who have emailed me or contacted me. I always see the common threads: unrealistic expectations, lack of perseverance, being tricked or scammed by the online business hypesters, and almost always a poor level of education and knowledge of both business in general and online business. It’s hard to convince folks that the opportunity really is there they just have to go about it the right way. In their mind, they gave it an honest try and it’s just not for them. Or they believe the entire thing is a scam and that nobody is honest about online business. That’s a shame because multitudes of people are generating anywhere from a modest income, to supplemental income, to legitimate full-time income… and for some, real and significant wealth. It’s not that the opportunity is not real, it’s just that too many people are listening to the wrong people and getting scammed. It’s no different than what we’ve seen countless other times before the Internet came along: multilevel marketing schemes, no-money-down get-rich-quick gimmicks, work from home for five minutes a week and make $1 million a day — lies. Don’t let the scammers and thieves rob you of your opportunity. The Internet offers the most unfathomable and jaw-dropping self-employment and supplemental income opportunity that has ever presented itself to the average person. Thankfully, that is an easy answer. First of all, you have to know that online business and blogging for income is both legitimate and doable. Like any business however, it takes hard work, time, and realistic expectations. There is a direct parallel to the success and reward in relation to your hard work and patience. They have a demonstrable and viewable history online. They didn’t just create a blogging business yesterday and now claim to be online business experts. 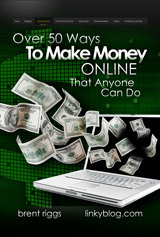 They have made money online doing something other than just selling “how to make money online” materials. If that’s the only thing they have ever sold and made income from, than they are just looking for new suckers rather than truly teaching people how to do business on the Internet and make long-term legitimate income from blogging or online sales. You should investigate and ask any so-called online business expert what else they have made money on. You have to be careful though, the scammers and snake-oil salesman will simply lie. The overwhelming majority of testimonials and customer claims on the sites are made up. Like any traditional business, you have to decide who you’re going to trust, who is out there doing honest online business, and who is putting up claims of income, customer testimonials, and history that is accurate and not exaggerated. To be honest, it’s not hard to figure out who is legitimate and telling you the truth. The scammers and gimmicks all have the same feel of hype and exaggeration. Just look at it the same way you would view the snake-oil salesmen and liars on TV infomercials: promises of lots of money quickly with very little work; you don’t really have to learn anything at all – just happens on its own; you can’t find any real history of them doing anything other than selling this how-to information. All the scammers look the same and feel the same. On the Internet, there’s one other common trait of the gimmick promoters but I need to state it carefully. The vast majority of the scams and stuff that is a total waste of money concerning online business is produced and offered by a bunch of kids who look like they’ve been out of school for all of two weeks. There’s no way they can have any real business experience or history. There’s no way they’ve had time to prove that they have put their own methods and teaching into real practice and shown success long-term. And they almost all are just restating, rewriting, and repackaging the same old material and claims. It looks the same, feels the same, and guess what? It is the same: a waste of time and money. They themselves have been caught up in the hype of getting rich quick online by simply selling “how to get rich quick online” gimmicks and scams. The reason why I have to be careful when I say that is because there are a handful of legitimately successful twenty-something-year-old folks out there who have worked hard, busted their butts, offer legitimate and honest products and courses, and have proven for several years (even though they are young) that hard work and honest effort online can pay off big. So I don’t want to disparage anyone simply for being young but I do have to warn you that it is a common trait of most of the scammers out there that they look like they’re fresh off a college campus and have about 37 minutes of real experience to offer. They are a real person who is accessible and open about what they do and who they are. You can contact them, ask them questions, and get real answers. A common trait of scammers or the inexperienced is that they hide behind contact forms, keyboards, and anonymity, and offer only canned answers and vague non-specific experience. It is a good sign of honesty and integrity when your online business expert is well known, has a history, makes their contact information readily available, and actually responds to you and contacts you when you try to reach out to them. They have other businesses and things going on online that have a good reputation and history. It is another common trait for online-business-gimmick sellers that you’ll find nothing else on the Internet they have done or been successful at where you can get a sense of their reputation and experience. Find an online business or blogging expert who has shown demonstrable success in multiple ways online. Since I obviously include myself in this category, here are some other things online that I’ve done successfully: Linky Tools, Linky Followers, BrentRiggs.com, Serious Life Magazine (not online anymore – but for two or three years enjoyed issues that had millions of page views; I discontinued this magazine simply because of the amount of resources and time it took each month to publish), my book publishing, and Riggs Design Works where you will find a 20-year history of business, publishing, website development, blogging, and online business. If you simply spend a little time poking around, you will find out which of the so-called experts in online business and blogging have a real history of success that you can trust and which of them have probably never sold anything other than their “how to make money online” products. I had unrealistic expectations of how easy and quick it would be. I am discouraged about false promises from scammers and gimmick products. I am tired of wasting money on yet another high-pressured sales pitch. I have lost faith and trust in everyone claiming to be experts at blogging and online business. It’s taking too long to see any real success and I am not willing to work and wait. I think I have run out of things to write about. The blogging trolls, vampires, and criticizers have sucked the life out of me. Blogging takes more time than I thought and I just can’t find more time for it. There’s too much competition; there’s no way I can compete and be successful with so many other bloggers out there. It’s too much to grasp and learn. I just can’t get my head around all of it and make it work. This post will turn into a book if I address everyone of those here, so I’ll do that in another post in a couple of days. Do any of those reasons ring true for you? Do you have other reasons not in the above list? Let me know in the comments so others can consider them too. If I had to pick one word or trait that is most important, it is perseverance. Lots of things are important but if you toss out perseverance, you’re wasting your time. Perseverance is sticking to something. It’s having a commitment to a certain amount of time you’re going to invest and keep at something to give it a legitimate chance of success. Perseverance is a key character trait that most people are missing and that is why the “get-rich-quick” thieves have such great success. They play off the idea that you don’t have to work hard, you don’t have to endure hard times, discouragement; or failures; you don’t have to try hard to educate yourself; and you certainly don’t have to claw your way day-by-day and step-by-step to success. It is that lie of ease and quickness that ends up discouraging a lot of people. 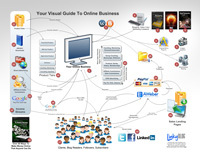 Online business is no different than any other type of business. The harder you work and the more time you invest in it, the more likely it is that your success will come faster and earlier but there is no promise of it. Only those who are tough-minded, have a commitment to stick it out over the long haul, and are willing to work through adversity and disappointment, have the right to realistically expect success with their blog or online business. It is a realistic expectation for those who persevere and I can tell you with confidence beyond any doubt it is also a profitable expectation. But without perseverance, you’re wasting your time. The opportunity is real… don’t let the scumbag scammers and get-rich-quick gimmick-mongers steal your dream. The opportunity is VAST… the whole world is your potential market, unlike anything we’ve ever known in business to this point in time. The start up cost is NOTHING compared to traditional business… you can start and fail and try again for pennies compared to the past. The variety of ways to achieve your goals is endless… there is no one-size-fits-all when it comes to blogging or online business. If one way hasn’t worked, try 50 other ways. There ARE experts and coaches and other bloggers you can trust just like me. Don’t throw everyone into the same boat just because of the bad apples. There are honest and successful online business experts like me who really do want to see you succeed and help you get there. You just have to find them. I will tell you without any hesitation or reservation that anyone willing to work hard, persevere, and educate themselves absolutely can be a success at blogging or any number of online business models. The opportunity to make a supplemental income, a full-time income, or even to become wealthy is open to just about everyone now because of the Internet. It’s not easy, it’s not quick, and it is no different than business has always been – as far as what it takes to be successful. The big difference with the Internet is how much wider and deeper the opportunity is for average people sitting in their own house with a laptop. A successful business used to require huge amounts of capital investment, physical resources, and a hard-to-reach market. The Internet offers you the opportunity of almost absurdly low-capital investment to get started, physical resources that consist of only a computer and some software, and a worldwide global market that sits on the other side of your keyboard. There has never been an opportunity like there is now (because of the Internet) for folks like you and me to bring in some additional income, build a business, or achieve influence and self expression. 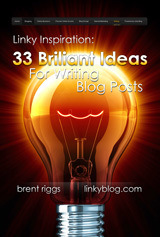 If you are like me, you know alot of other bloggers who could use some good encouragement and motivation. Would you do them, and me, a favor and send them a link this post?